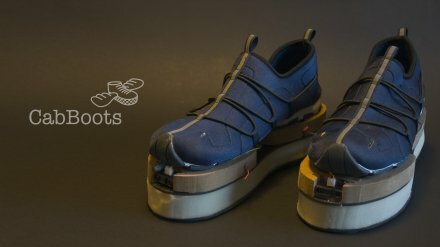 Currently at the prototype stage CabBoots are a new sort of guidance system for pedestrians that tell the walker were to walk by communicating with what does the walking, the feet. Invented by German interface designer Martin Frey, CabBoots use electromechanical elements and servos to tilt the boot when you are going in the wrong direction. Martin explains this in a more meaningful way. Paths on a natural surface, for instance – usually have a concave cross-section. When you walk along such a well-trodden path, your feet come down on a flat surface only right in the middle of the trail. Veering over to the edge of the path, they land on a slight outward slope that causes the ankle to be angulated slightly. While walking, the body registers this angulation and intuitively compensates by steering back towards the middle. This actually allows you to walk the path “blind”. There is a video of them in action and more information over on Martin’s site and I’m sure we’ll be reporting on more Martin’s inventions in the future.